Some may remember several months ago I took several red 8 inch squares and several 8 inch light squares and sliced and sewed until I got finished half square blocks made from 2 inch squares. 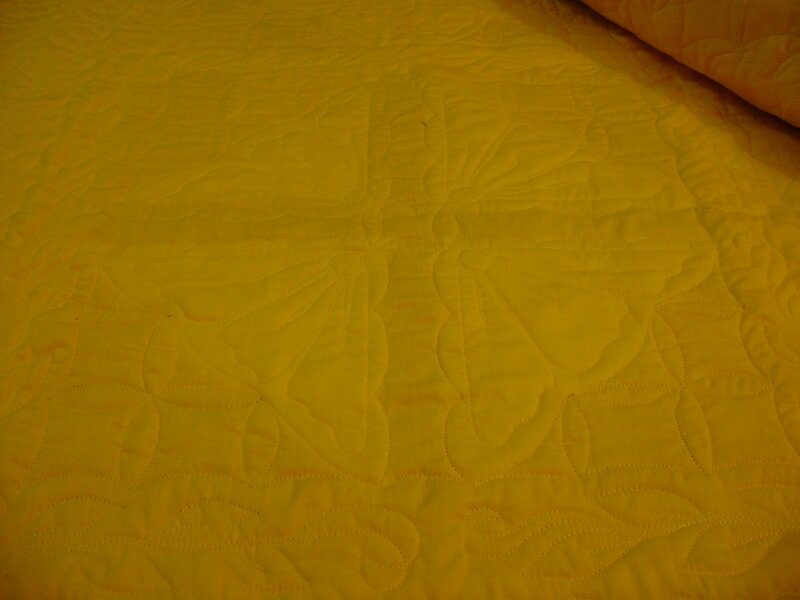 Yesterday I finished the quilting on it. I will do the binding later today but first I have a t-shirt quilt to finish and get onto the machine. To see the steps please visit my webshots album here. Look for the album called testing technique. 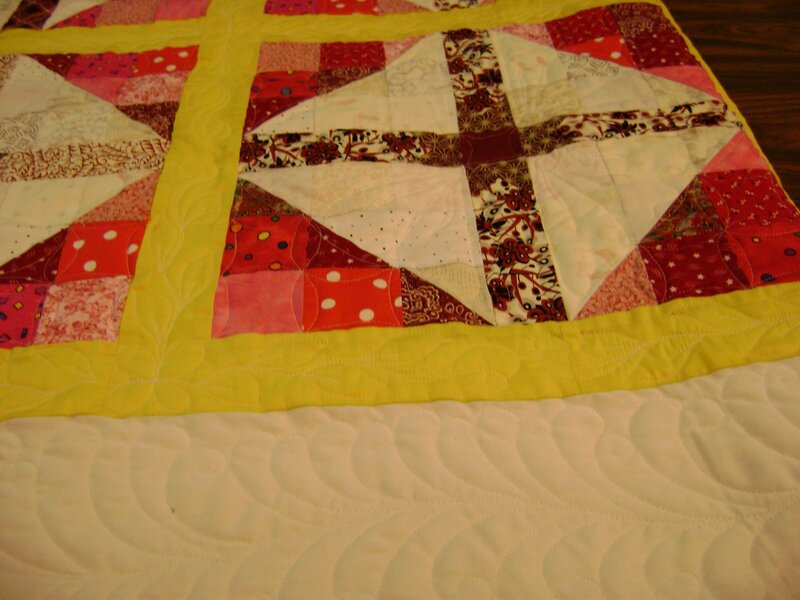 I hope the quilting shows up for you to see. I did a feather (again) in the border. I did leaves in the sashing. I did a flower design and line dancing in the blocks. This is the back side showing the flower design of the blocks. Another view of the block from the front. This morning I tried my best to figure out what is ailing my computer again. I seem to be out of memory (pentium 4 processor) but not being computer literate I’m not sure. 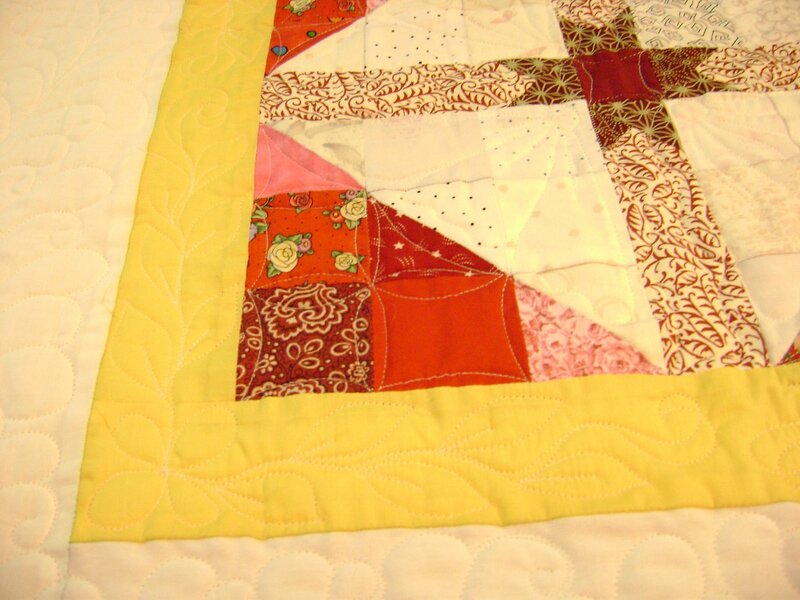 I want to start putting my hints and tips and ten to what quilt patterns into another blog pretty soon. I can’t do that if I can’t save the photos to include in the blog. Today after work I will delete out as many photos as I can to make more room. I suspect some of my problems are caused by so many different photo sorting softwares added as I got new cameras, printers, etc. Each one wants to the THE one to use but none of them want to play nicely together. I guess a call to one of the nerd herd is in order after the holidays. But gee….they are so expensive! It probably would be cheaper to just get another computer. 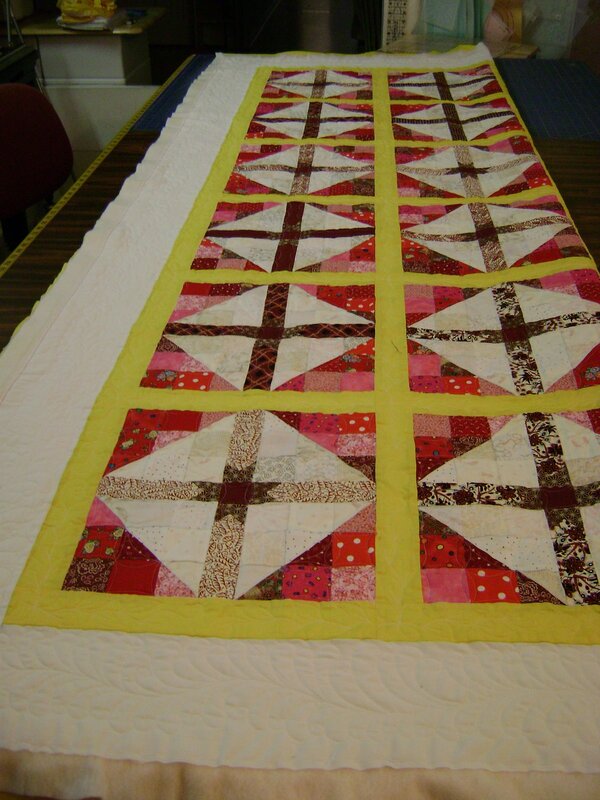 This entry was posted on November 14, 2007 by Anita in Charity quilts 2007, Charity quilts 2007.